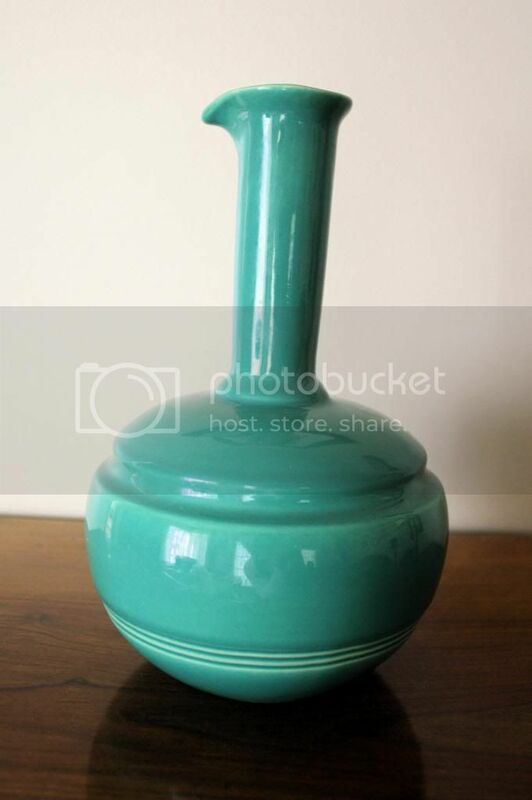 A cool vase or possibly decanter. Some brand of California pottery but I’m not really sure what. It didn’t have any identifying marks. 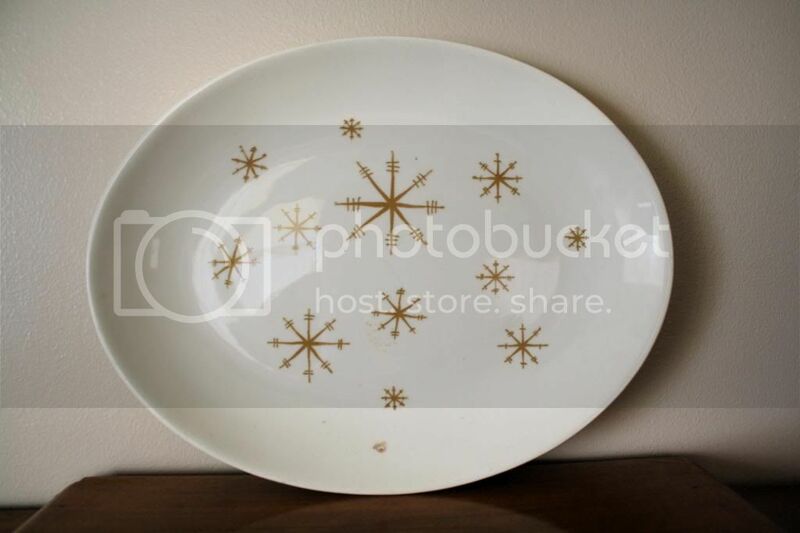 This platter is one of my “keepers.” I need to come up with a cool way to display my growing platter collection! 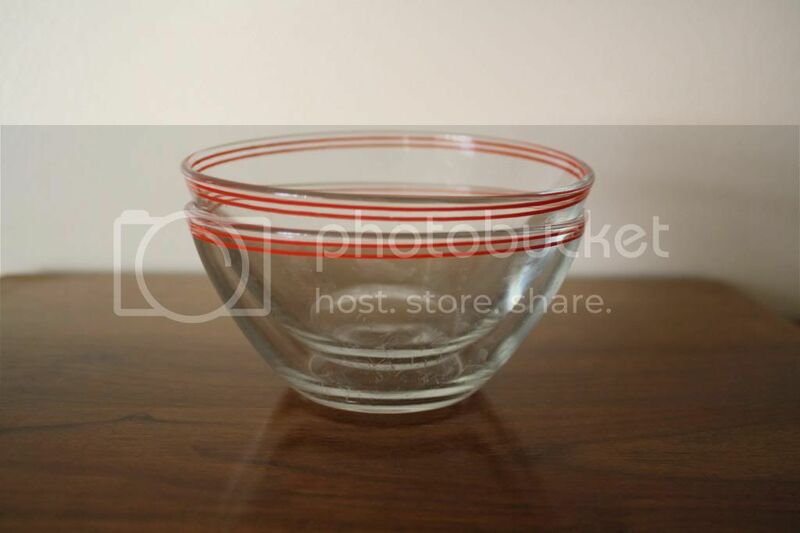 This pair of little red-rimmed glass bowls is going in the space. 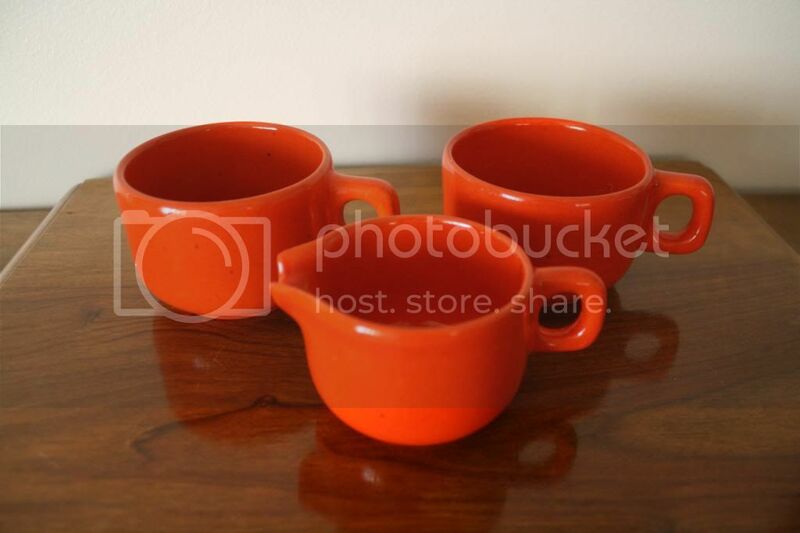 These bright red mugs and creamer are great, but I’ve got waaaay to many of both. Into the space they go! 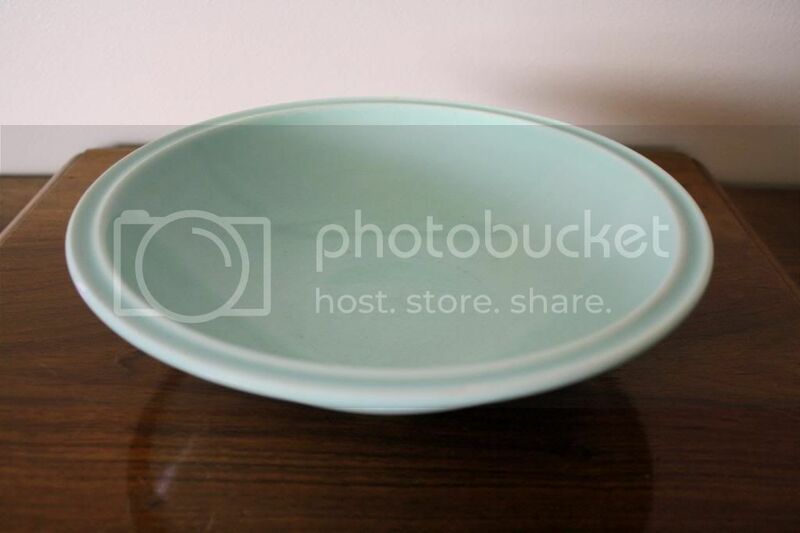 How pretty are these two bowls? I put them in the space too but now I’m starting to regret it. I can’t resist a bird! Maybe I’ll rescue them if they’re still around next time I go there. 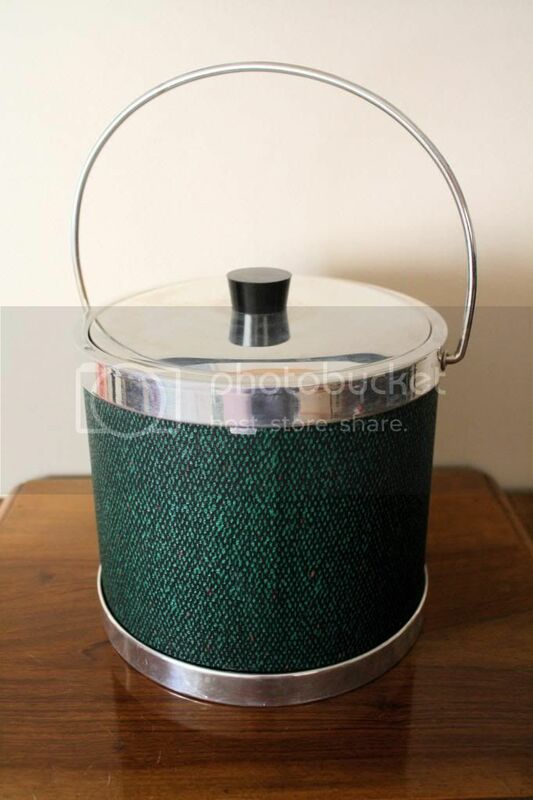 A cool ice bucket which is in the space looking great with the rest of the mid-century barware. 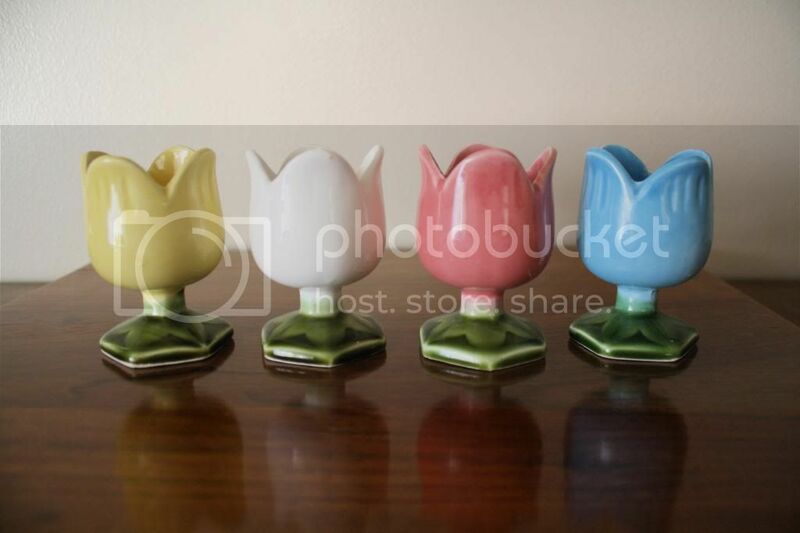 These little tulip egg cups were a perfect find for Easter! You can see how I displayed them in the space here. A platter to match the sugar and creamer set I found last week! 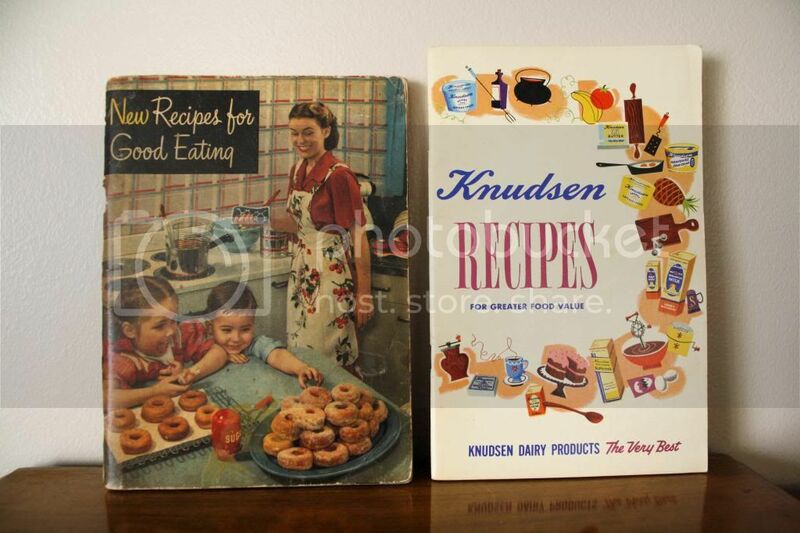 Phillip’s mom found us these little cookbooks. The one on the left is from the 1940s. I’m keeping the one on the right because I love the graphics so much. 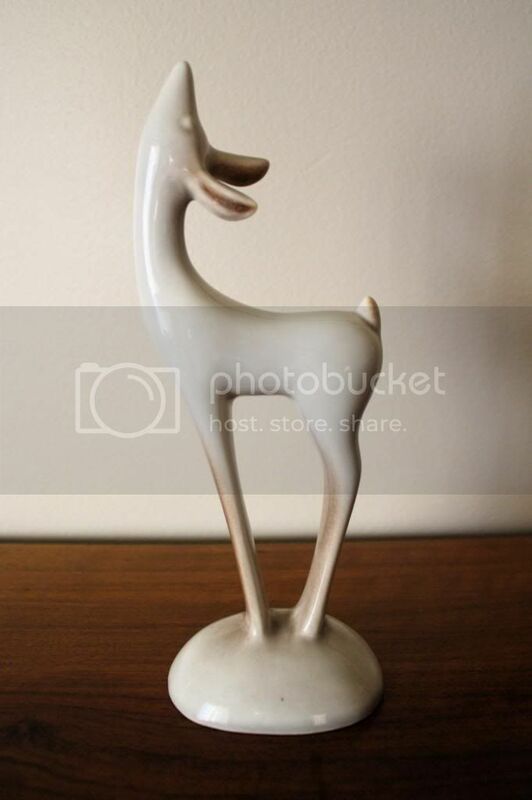 I thought this deer was cute and had a cool shape. It’s in the space. 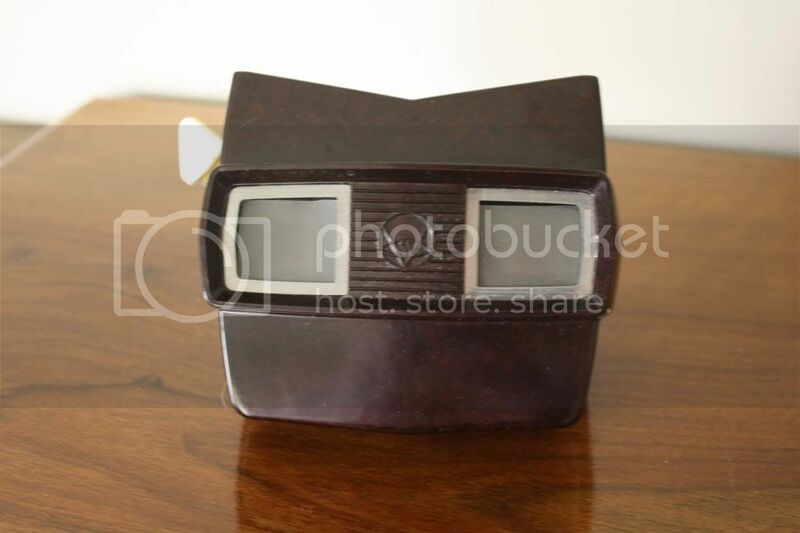 Phillip found this old ViewMaster at the Goodwill. 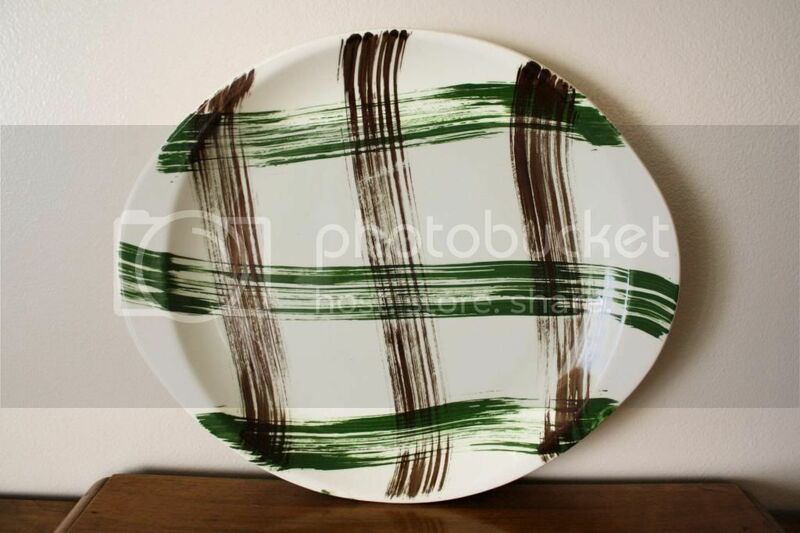 I found this enamel Catherine Holm piece at the Goodwill as well. 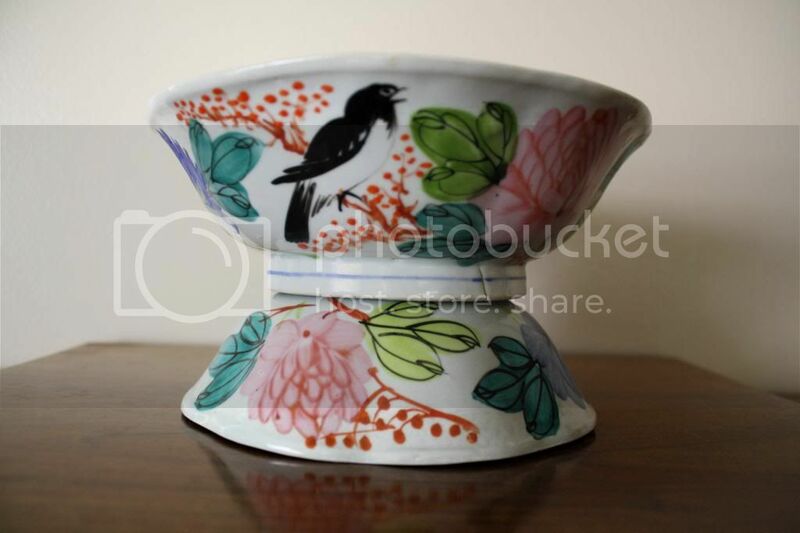 At first I thought it was a bowl but after some research I realized it’s the lid to a fondue pot (which was not with it of course). I still can’t decide whether to keep or sell it. 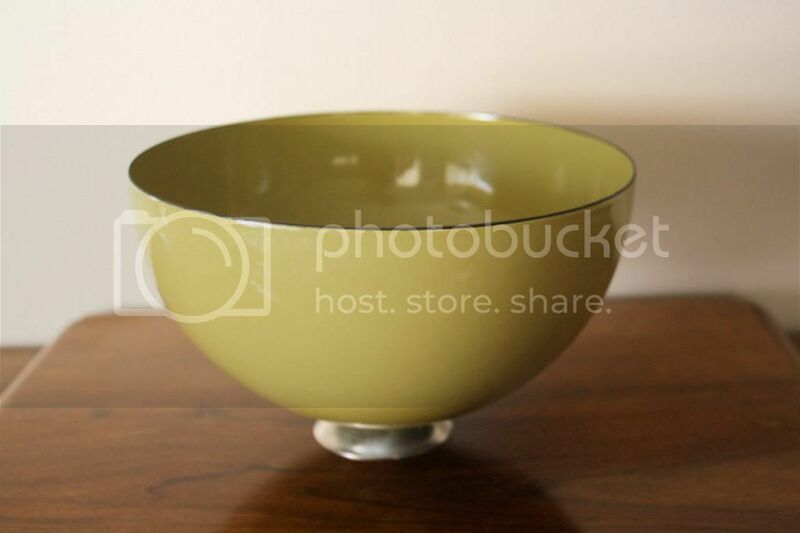 I think it looks pretty elegant as a bowl. 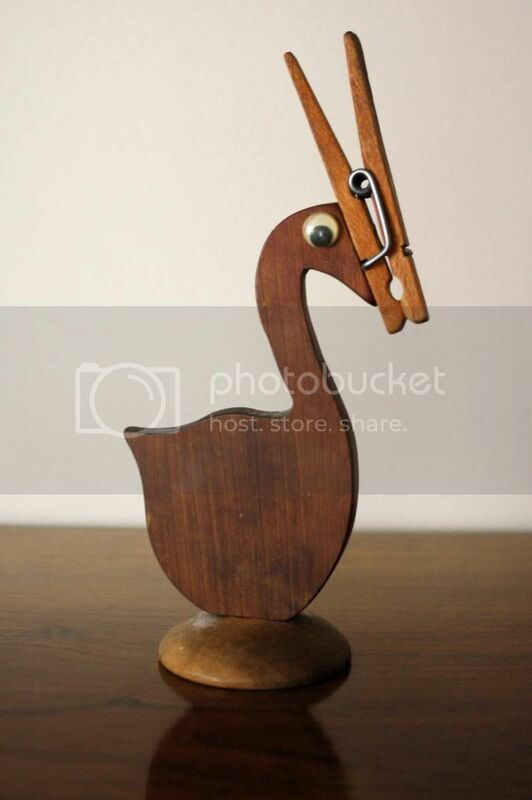 This little bird clip thing cost me a whopping 30 cents. It’s kinda weird but I thought it was funky in a good way. 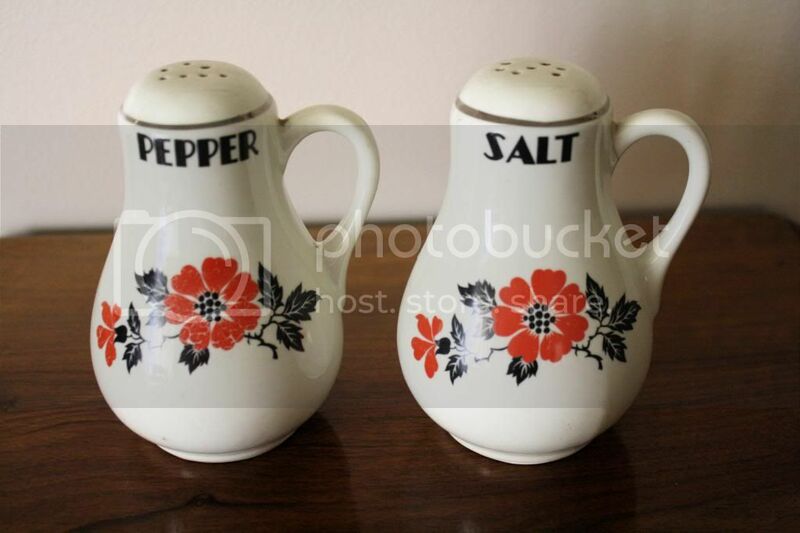 And lastly, a pair of Hall salt and pepper shakers. Thanks for looking and I hope everyone’s week is going fabulously. 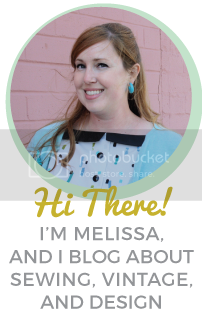 I’ll be linking up at Apron Thrift Girl, A Living Space, Sir Thrift A Lot, Joyful Treasure Hunting, and Young Heart. Head on over and check out everyone’s finds!